Antonio Cassese, the first president of the International Criminal Tribunal for the former Yugoslavia and later the chairperson of the United Nations International Commission of Inquiry on Darfur, teaches law at the University of Florence. The judgement of the International Court of Justice (ICJ) concerning Serbia's involvement in the massacre of Bosnian Muslims (Bosniaks) at Srebrenica in 1995 should be greeted with considerable ambivalence. On the one hand, the fact that an international tribunal has pronounced on the responsibility of a state in the matter of genocide is an undeniably positive development. On the other hand, however, the Court's decision is one of those judicial pronouncements that attempts to give something to everybody and leave everything as it was. The Court was not supposed to hold specific individuals criminally responsible; that is the job of the International Criminal Tribunal for the former Yugoslavia (ICTY). The ICJ, which instead deals with controversies between states, was faced with Bosnia's claim that Serbia was responsible for the Srebrenica massacre. 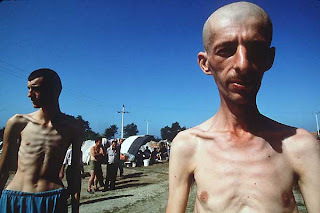 Although the Court ruled that genocide had taken place, it decided that Serbia was not responsible under international law. 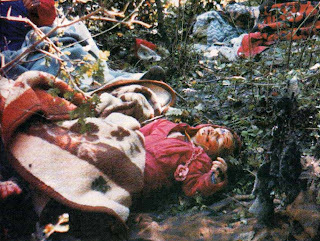 According to the Court, the Bosnian Serb generals who were guilty of this genocide, the various Mladic's and Kristic's, were neither acting as Serbia's agents nor receiving specific instructions from Belgrade. The genocide could not therefore be imputed to Serbia, even if the Serbian government was paying salaries to Mladic and his colleagues, as well as providing them with financial and military assistance. Nor was Serbia guilty of complicity, because, though it exercised considerable influence over Mladic and his people, it did not know, at the moment when the genocide was taking place that such a crime was being committed. Having "absolved" Serbia from the principal crime, the ICJ offered a sort of "consolation prize" to Bosnia, affirming that the killings in Srebrenica had the character of genocide - a conclusion already reached by the ICTY. Moreover, according to the ICJ, Serbia violated international law by failing to prevent genocide, because, though it could have thwarted the massacres, it did not, and subsequently did not help the ICTY arrest Mladic (who, notoriously, is still hiding in Serbia). The Court's decision thus attempts to run with the hare and hunt with the hounds. To decide whether Mladic acted on Serbia's account when he was planning and ordering the Srebrenica massacre, the Court demanded proof that Serbian officials sent him specific "instructions" to commit this act of genocide. Obviously, such instructions would never be found. Why was it not enough to prove that the Bosnian Serb military leadership was financed and paid by Serbia and that it was tightly connected to Serbia political and military leadership? More importantly, the ICJ's decision that Serbia is responsible for not having prevented a genocide in which it was not complicit makes little sense. According to the Court, Serbia was aware of the very high risk of acts of genocide and did nothing. 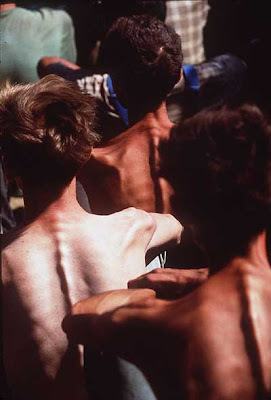 But Serbia was not complicit, the Court argued, because "it has not been proven" that the intention of committing the acts of genocide at Srebrenica "had been brought to Belgrade's attention". This is a puzzling statement at best. The massacre was prepared in detail and took place over the course of six days (between July 13 and 19). Is it plausible that the Serbian authorities remained in the dark while the killing was in progress and reported in the press all over the world? It seems far more reasonable to believe that Serbia's leaders were informed about what was going on, and that, despite this, Serbia's military, financial, and political assistance to Mladic was never interrupted. The fundamental problem with the ICJ's decision is its unrealistically high standard of proof for finding Serbia to have been legally complicit in genocide. After all, one can also be guilty of complicity in a crime by not stopping it while having both the duty and the power to do so, and when, through one's inaction, one decisively contributes to the creation of conditions that enable the crime to take place. Real Audio, Windows Media, MP3. MARK COLVIN: There have been strong reactions to the decision handed down in The Hague last night which exonerated Serbia from the 1995 massacre of thousands of Bosnian Muslims in Srebrenica. The International Court of Justice said the killing of around 8,000 people was indeed an act of genocide. 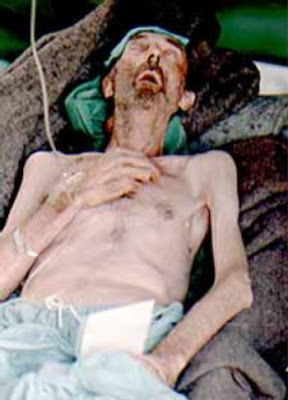 It ruled that Serbia had failed to prevent the mass killing - which was carried out by Bosnian Serbs under the command of General Ratko Mladic - and that the Milosevic Government in Belgrade had failed to comply with its obligations to punish those responsible. But it cleared Serbia of direct responsibility. EMILY BOURKE: As the decision was handed down in The Hague, Bosnians rallied outside chanting "Genocide in Bosnia and Herzegovina." And afterwards they slammed the verdict, labelling the judges corrupt. In handing down the 170-page ruling, the judge made clear the killing of thousands of Bosnians in the Muslim enclave of Srebrenica was in fact genocide. JUDGE: As the court hasn't found that the respondent has committed or was responsible for the genocide at Srebrenica, the issue of massive of repatriations for that doesn't arise. As to the breach of its obligation to punish genocide, the court has determined that that is a continuing breach. EMILY BOURKE: But that's not satisfied those in Bosnia who filed the case more than a decade ago. Chairman of the Bosnian Presidency Haris Silajdzic says further legal action is still an option. HARIS SILAJDZIC: This is a violation clearly - a violation of the convention, of international law. And Serbian Montenegro must take the full political, legal, moral and material responsibility for that. EMILY BOURKE: Justice John Dowd is from the Australian branch of International Commission of Jurists. He says the decision will serve as a deterrent to governments that embark on ethnic cleansing campaigns. JOHN DOWD: It clearly is a decision based on the evidence. 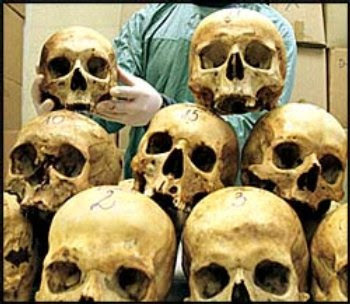 And if in fact the Serbian Government was complicit in the killing of these people, they obviously didn't leave evidence around. Governments tend not to leave paper trails for this sort of thing. And it must be disappointing for the Muslim community involved, but it's not surprising. It is good, however, that they've found that the Serbian Government could have done more to prevent what happened. EMILY BOURKE: But an expert on international criminal justice, Professor Mark Findlay argues the ruling shows governments can avoid liability even if they're found to be complicit. MARK FINDLAY: As was the case in the Serbian situation it seems that at the very least the state created a political atmosphere in which the militia believed that what they were doing was certainly in the state interest. The state was not doing anything, if you like, proactively to prevent this. But that's not enough when you're looking at rather conventional notions of individual liability. We need now to think about can states and large organisations be prosecuted in the first place. EMILY BOURKE: He says the system is inherently flawed because while it can convict military leaders and politicians it can never successfully prosecute a state for war crimes. EMILY BOURKE: And Steve Mark, the Chairman of the International Commission of Jurists in Australia, says the case should prompt a review of international law. STEVE MARK: We need to develop international law to deal with the emergence of the corporate state, we need to develop international law to deal with the concept of a state having personality, such as a corporation does under international law. And I think that what this means for us is that our international legal concepts are still a little bit lost in the 19th and 20th centuries, and we need to develop them for the 21st Century. EMILY BOURKE: And what if we don't? STEVE MARK: Well if we don't, I think that individuals that are victims of state atrocities are not going to find reparation, they're not going to be able to… to have a voice or an answer to their cause. MARK COLVIN: Steve Mark, Chairman of the International Commission of Jurists in Australia, ending Emily Bourke's report.